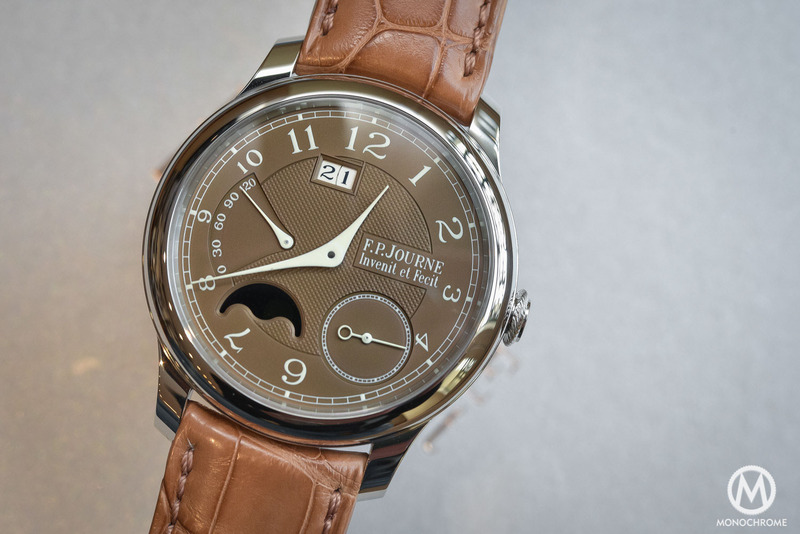 FP Journe is known for creating timepieces with an very high level of complication, a strong research of chronometric precision and a certain ‘controlled eccentricity’ in layouts. 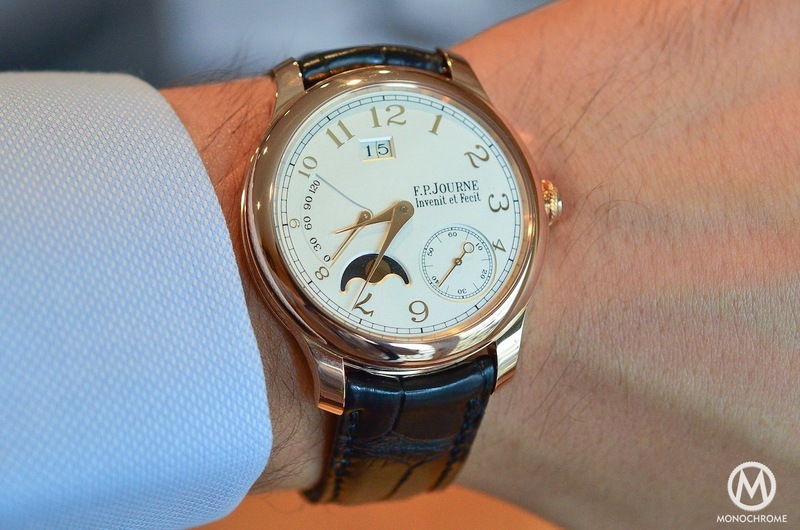 Since 2004, a unique feature also differentiates FP Journe from the rest of the manufactures: movements almost entirely made in full gold. 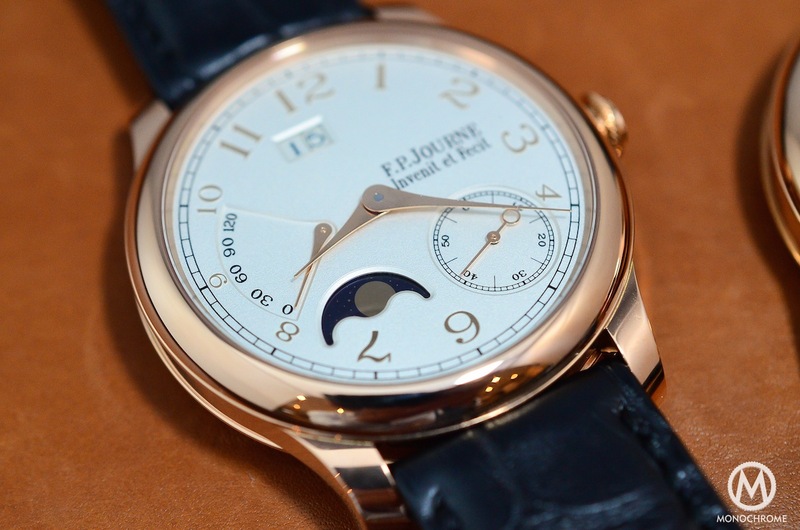 In his dream of a FULL gold watch, Mister Journe is now introducing solid gold dials in his classical collection. 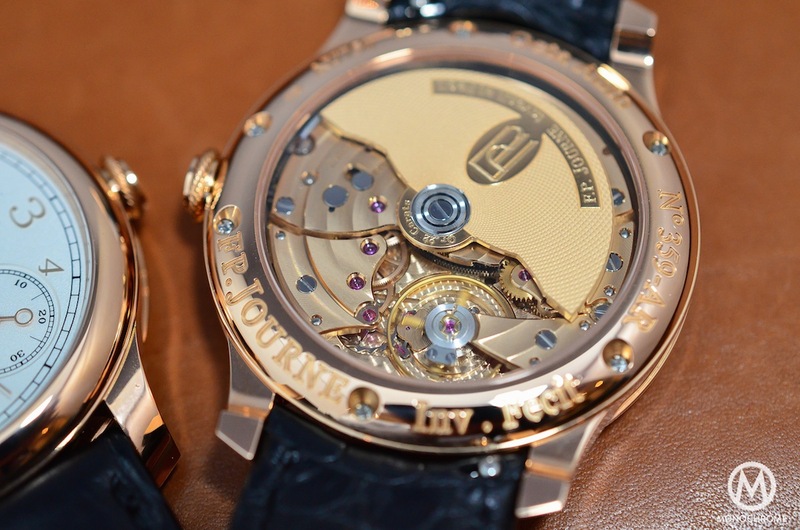 After the official presentation, it is time now to have a closer look and some wrist-time with all these novelties. We’re talking here about full gold watches. Obviously, some technical parts, such as screws, some gears or springs – parts that face some frictions – are still made in steel. But for the rest everything is made of gold: the case, the plates and bridges of the movement and now the dials and hands. 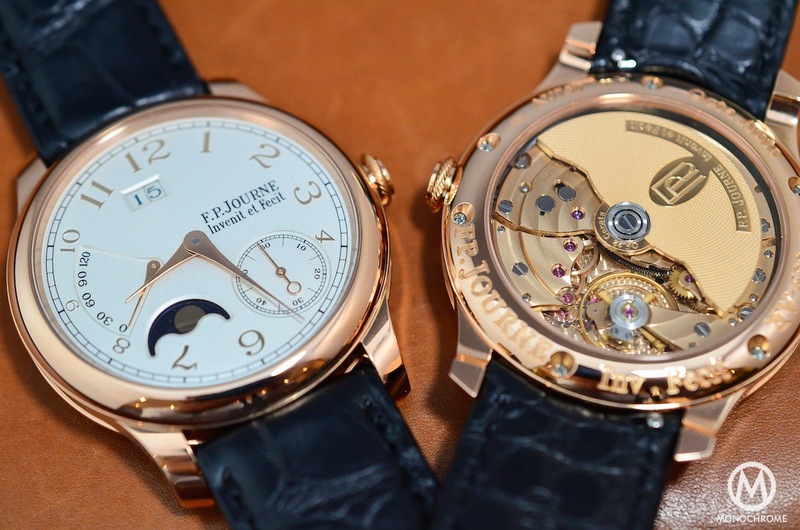 And even with so much gold, these timepieces are keeping a refined and discreet appearance. 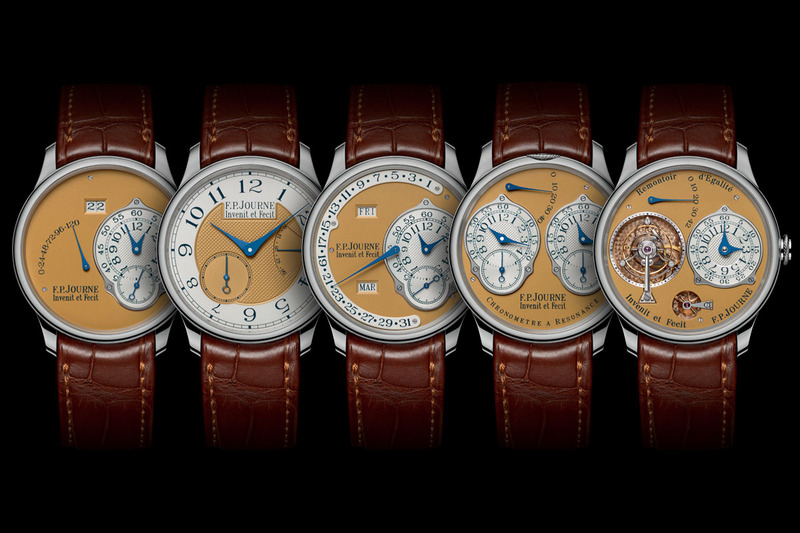 Depending of the case material – 18K red gold or platinum – the dials and hands are made in 18k red gold or 18k white gold, to obtain a monochromatic aspect. 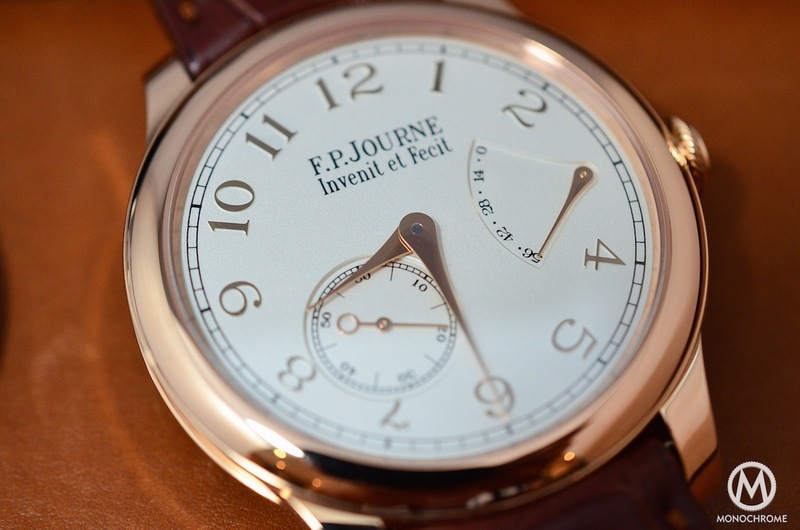 The strength of FP Journe is to be a real integrated manufacture, meaning that almost all of the parts are made in-house. And that includes the dials. To create these dials, several operations are required. First the solid gold base is sanded before a specific silver layer is added. This silver layer gives a matte grain and some texture to the watches’ face. Then these plates are embossed to reveal the reliefs of the numbers. The surface of these numbers are then mirror polished to expose the gold itself. 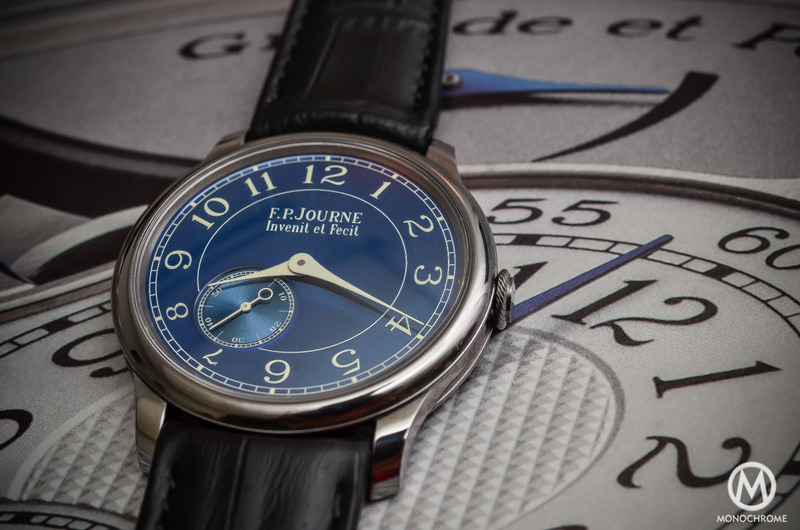 The last phase is to print the rail road minute track and the F.P.Journe logo which requires up to 5 successive layers for a perfect bombé shape. 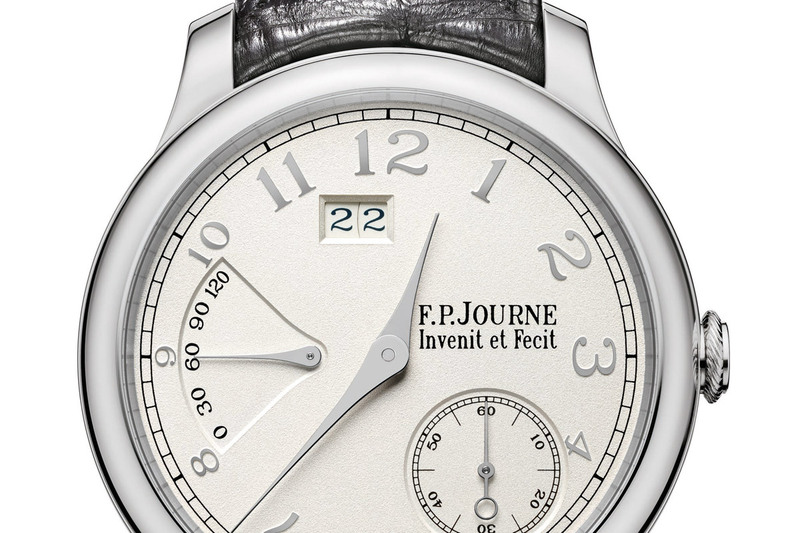 This technique was already used in the Special Edition for France/China 50th Anniversary, with a 18K White gold dial coated in dark blue. Now, these dials are produced in serial. 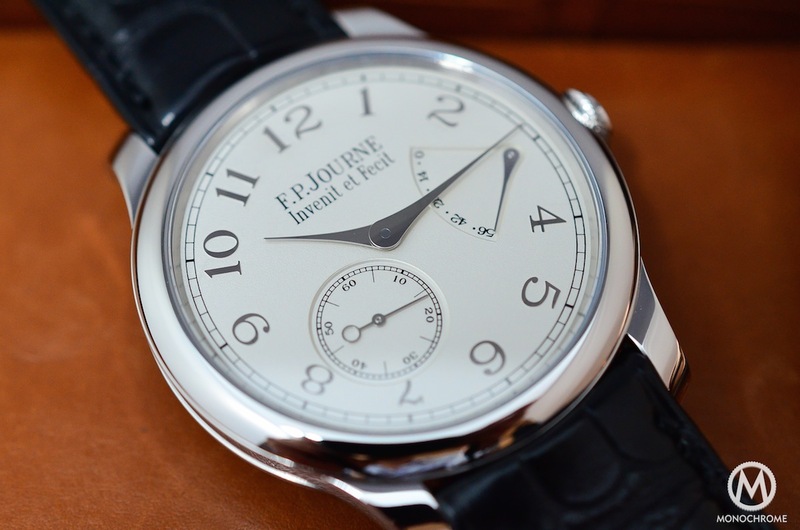 The precision of the numbers’ contour is amazing and the mirror polish applied on the top allows a very good distinction between the dial and the indexes. Edges of the numbers are really cutting and, even after a close look under a magnifier, the result is precise, fine and highly elegant. The solid gold dials are available on 3 watches, already part of the collection: the Chronomètre Souverain, the Octa Lune and the Octa Reserve, and all 3 can be ordered in 18K red gold or in platinum. 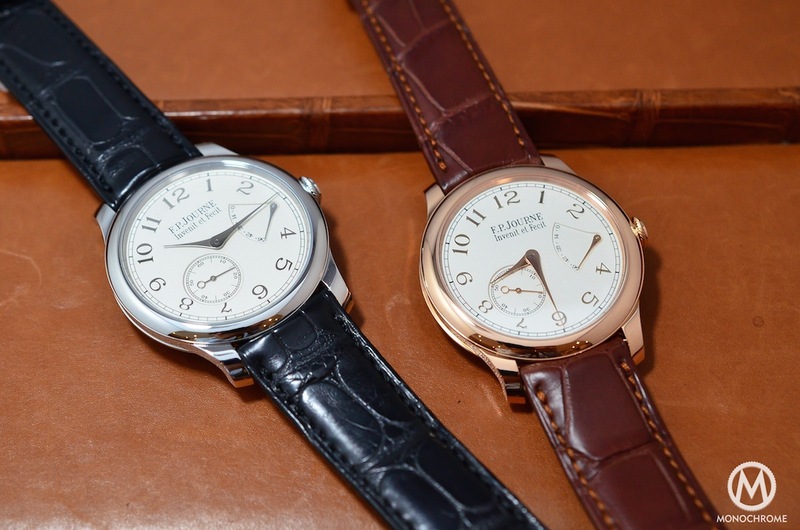 The 3 watches are available in 40mm and, upon request, in 38mm. 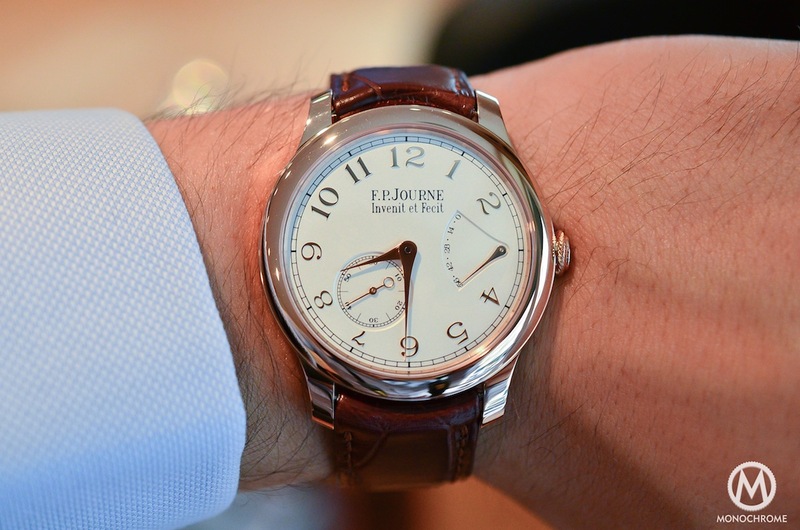 The Chronomètre Souverain is part of the chronometer rated collection made by FP Journe. 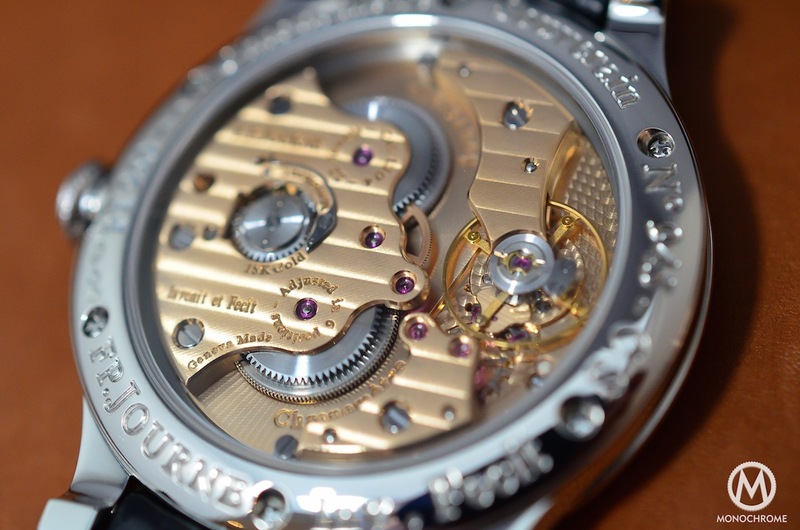 It includes manual winding movements adjusted in 6 positions and several improvements to the accuracy, such as a twin barrel mounted in serial (to reduce frictions). Of course, this one is simpler than the complicated and more expansive Chronomètre Optimum we reviewed and explained to you. 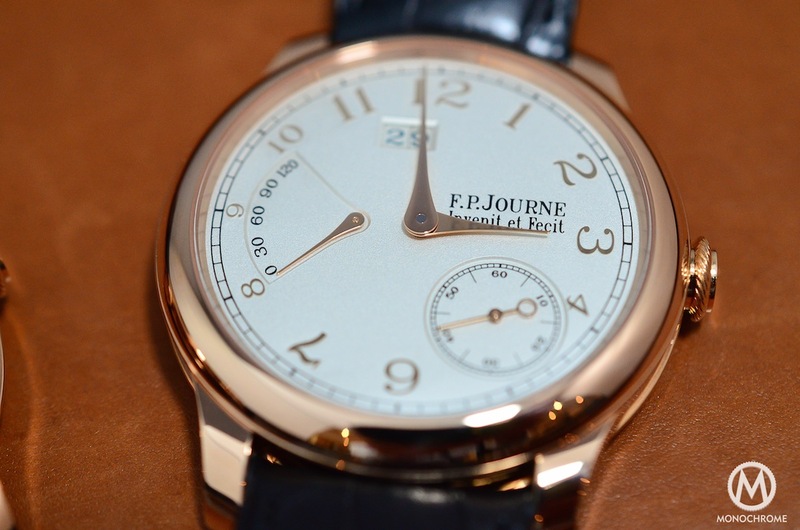 But it is already a very desirable watch that features a small second (strangely positioned at 7 – a distinctive element that gives some originality but that doesn’t break the balance of the dial) and a power reserve indicator. 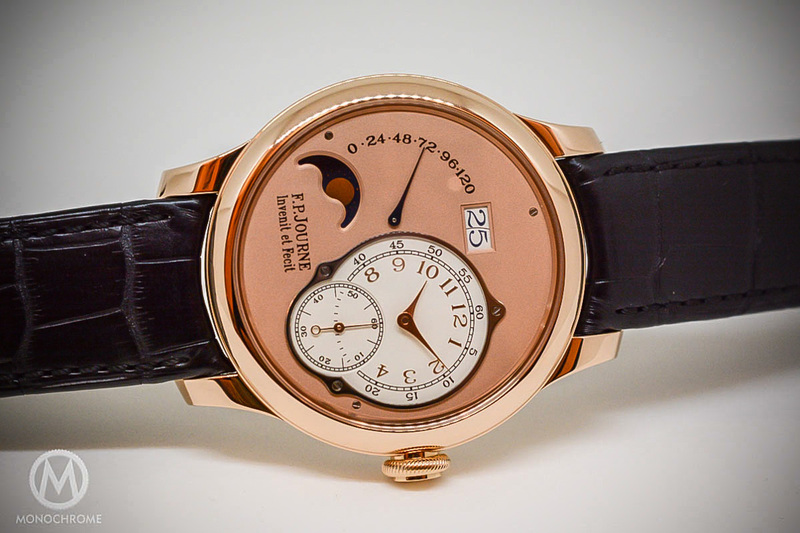 The 18k pink gold movement is, as usual, a pleasure to look at, with its gilt plates and bridges and its lovely finish – polished beveled angles, several surface finishings, polished screw heads… Furthermore, its architecture allows a view on many technical elements. What is actually really surprising is that, at first sight, all the recessed sub-dials and apertures of the dials are unbalanced and located at very unusual places. 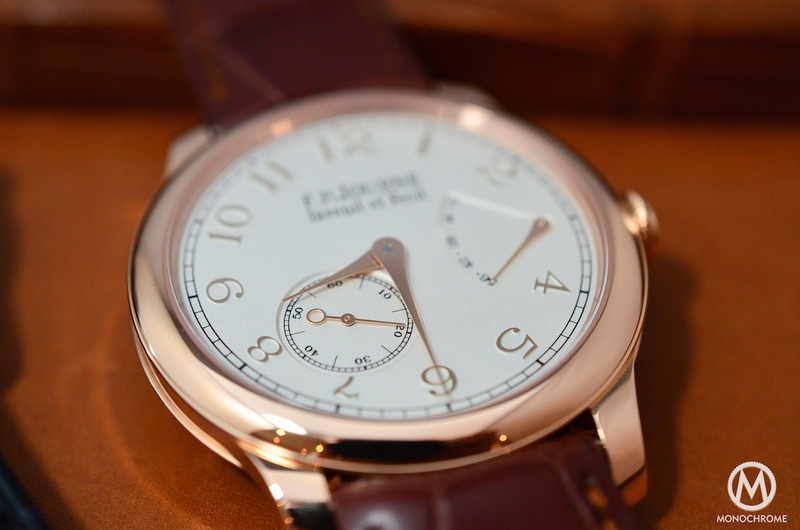 But this imperfect arrangement of the indications is somehow what gives the FP Journe watches all their charm and what distinguishes them from the crowd. 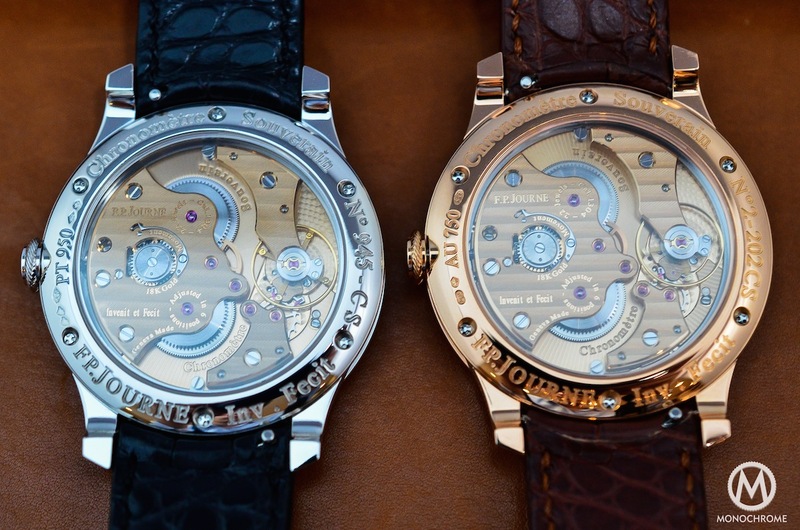 The Octa Lune and Reserve are using the same base movement (only the module plate on the top is different) that comes with an self-winding mechanism and that boasts 120h of power reserve (5 days). 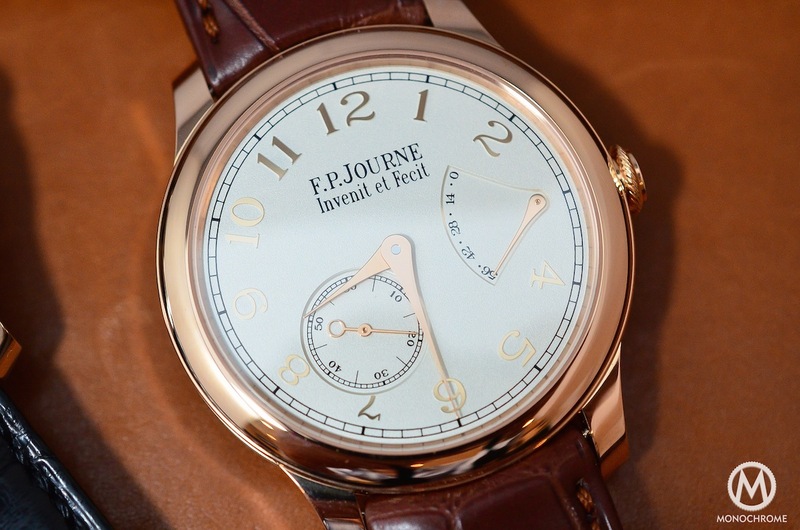 The finish uses the exact same codes as all the other FP Journe: solid gold plates and Haute Horlogerie details. The architecture is of course different from the manual winding collection and allows less view on the technical elements. However, the off-centered rotor and the contrast between the gleaming Geneva stripes and the matte guilloché applied on the rotor is superb. 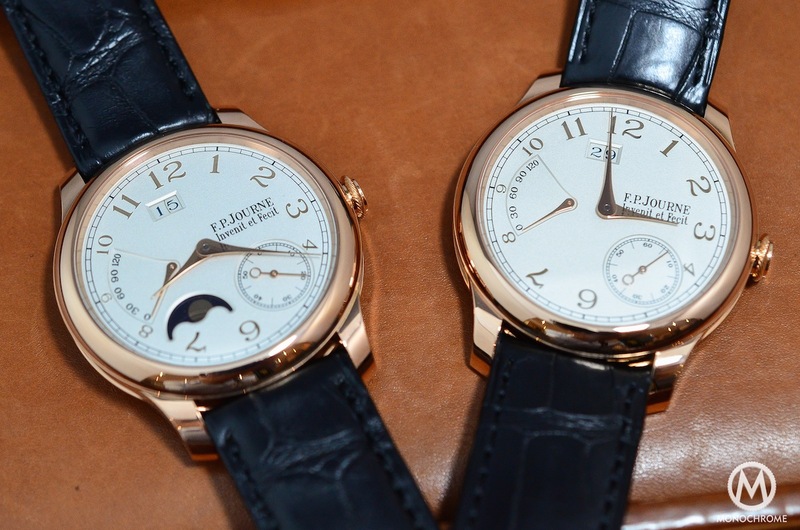 These gold dial editions are really convincing, as they are bringing some more exclusivity but in a very discreet and elegant way. 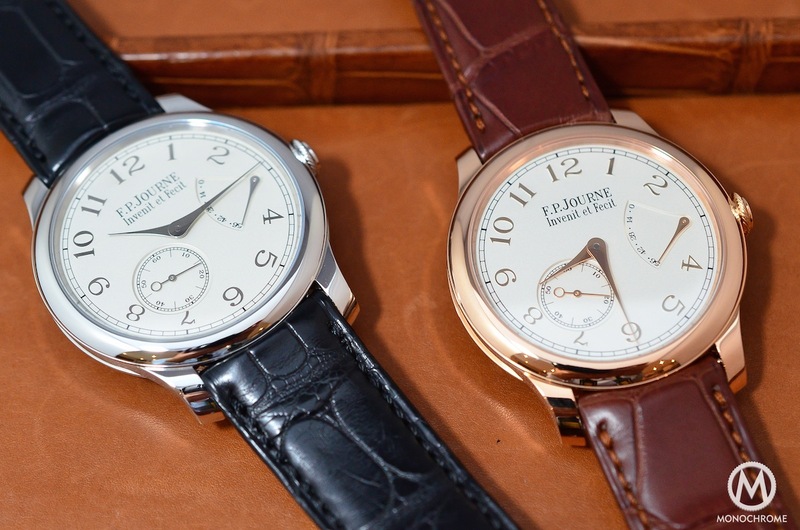 Once on the wrist, these FP Journe are perfectly sized, never ostentatious and wearable in every situation where a dress watch is required, from a red carpet event to a business meeting.